There is a new jewel on the Las Vegas Strip that aims to do things a bit differently than the big mega resorts lining the Strip's main corridor. For one thing, M Resort is a bit off the beaten path. Sure, it has a Las Vegas Boulevard address, but it is the southernmost hotel/casino on the famed boulevard. The Resort and Casino aims to cater to a different clientele – locals and those that visit locals. As a result, you'll get a level of personal attention in this resort unlike any other on the Strip. Located in an area a bit off the beaten path, M Hotel is convenient to a number of upscale Las Vegas residential developments. Sitting 400 feet higher than the rest of the Las Vegas Boulevard Casino Resorts, M offers an unparalleled view of the beautiful Las Vegas Valley and the lights of the famous Las Vegas Strip. M Resort and Casino places guest comfort above all else and it is evident in every facet of the Resort. With 390 guest rooms ranging in size from 500 to 2,400 square feet, the resort offers a lap of luxury not typically seen in off the main corridor resorts. All guest rooms contain such amenities as IPod docking stations, Bose sound systems and 42” HD LCD TV. More than 70% of the resort's guest rooms offer gorgeous views of the Las Vegas Strip. M Resort Las Vegas offers its guests technological advances new to the mega Resort Casino scene. Seamless wifi throughout the hotel allows guest to access the info they need whether it is from their PDA, laptop, or cell phone. Whether you are in your room, at a table, or poolside you'll be able to access the emails you need 24 hours a day at the resort. M Hotel Las Vegas' attention to detail spills over into every aspect of the Resort and Casino and entertainment is certainly no exception. With five on site bars and nine on site restaurants covering a plethora of cuisines, there is something for every taste. All the the resort's restaurants are destination food experiences owned and operated by M Resort. Thirty thousand feet of kitchen space exist to provide diners with a one of a kind experience. Spa Mio is a 24,000 square foot world class spa within the M Resort and Casino. For perfect pampering and grooming, this is the place to go. Sixteen treatment rooms offer state of the art care for discerning guests. 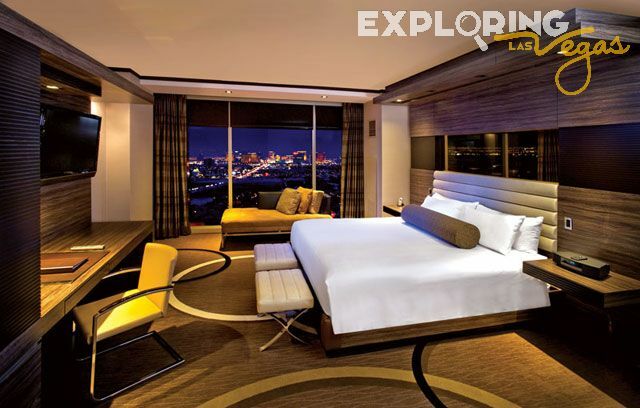 For all your M Resort information needs this Exploring Las Vegas is the place to go. We can tailor your vacation to your heart's desire. From the rowdy to the relaxing we have the clients and contacts to create your once in a lifetime Las Vegas retreat. Airport Shuttle, Non-smoking rooms, Meeting rooms, Business center, Game room, Swimming pool, Wheelchair accessible, Fitness Center, Family rooms, Spa. High speed internet, LCD Flat screen, storage, make-up mirror, hair dryer, ipod docking station, refresment center, safe, iron w/ board, vanity stool. Race and Sports Book, High Limit Salon with outdoor terrace, Live action poker room, Over 92,000 sq. ft. of indoor and poolside gaming, 1,847 slot and video poker machines, 64 table games. Bars : 32 Draft, Hostile Grape, M Bar, Lobby bar, Ravello Lounge, Villaggio bar. I had family in from out of town, and hearing wonderful things about your buffet, took them there. We got into the buffet line about 5:30 pm, and waited, and waited. The line didn't move. There was only one cashier. We finally got to the cashier (line finally started moving when they added another cashier) only to be told that the computers were down. More waiting. Finally seated. The buffet was beautiful, the food delicious, the service was terrible. No one refilled beverages, we ended up bussing our own table, because no one ever came to remove used plates. I have lived in Las Vegas since 1969, have enjoyed many buffets. Yours was one of the best, but something has to be done about the service. Looking around our area, there were no busboys, and an ocassional waitress. The M is a beautiful hotel. I thought you would want to know about our experience. I tried to book a Spa app. as a gift for my daughter for her Birthday.I wanted it charged, I was sent a email for credit Auth. I faxed it back with a copy of Driver License as requested. The spa can't find where this fax machine is with my personal info.I'm very disappointed that the Spa doesn't have gift certificates or gift cards after being opened for so long. Lauren who has been trying to help me from the Spa asked for me to fill out the Auth. Form online but I do not have the capablity of using Office word so I couldn't do and finally canceled what we had done over the phone and will go for Spa service somewheres else. Wanted to let you know what transpired today, I had been working on this appointment/gift for an hour. Thank you. Celebrated my wife's birthday on oct.29 with dinner at anthony's. dinner was superb and service was outstanding. enjoyed the birthday treat!!!! thanks again for a great evening.!! !